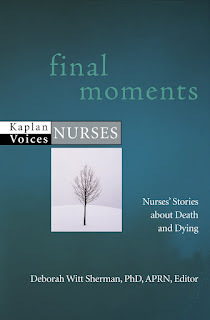 Announcing the Publication of "Final Moments"
It is with great pleasure that I announce the publication of the third book in a series of non-fiction books by nurses, released under the auspices of Kaplan Publishing. "Final Moments: Nurses' Stories About Death and Dying" is a moving collection of stories by nurses, all focused on issues of mortality. 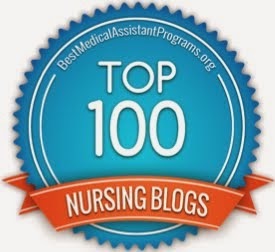 It is an honor to have my chapter, "A Nurse's Recovery From Grief", included in this stellar collection. Earlier this year, the first book in the series, "Reflections on Doctors: Nurses' Stories About Physicians and Surgeons", was released to great fanfare, and I was honored to provide a chapter for that collection, as well as to appear on a number of radio broadcasts promoting its publication. And although I was not a contributor to the second book in the series, I also heartily recommend "Meditations on Hope: Nurses' Stories About Motivation and Inspiration", released this past November. 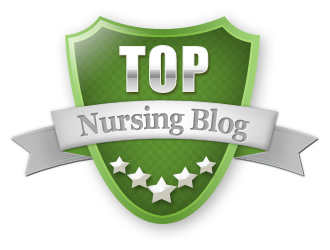 I am humbled by my inclusion in this new series ("Kaplan Voices: Nurses") by Kaplan Publishing, and would like to express my heartfelt gratitude for this very satisfying opportunity. The U.S. Census Bureau has released a report which recounts important and thought-provoking information regarding the millions of Americans who are currently living with disabilities. (The report can be downloaded as a pdf file here). The report, based on the most recent census data available, reveals that 54.4 million Americans (18.7 % of the population) are currently classified as disabled, and 35 million (12%) of Americans qualify as severely disabled. Both percentages have risen since the last census, and the numbers are most likely expected to rise again in subsequent studies of a significantly aging American population. In terms of needing assistance with Activities of Daily Living (ADLs) or Instrumental Activities of Daily Living (IADLs), 11 million people (4.1 % of the population) over the age of 6 need assistance with such activities. When examining sensory impairments, 7.8 million people are not able to hear a normal conversation, 1 million are unable to hear at all, 7.8 million people cannot read normal newspaper print, and 1.8 million report not being able to see whatsoever. When assessing mental, cognitive or emotional function, 16 million Americans are apparently affected, with approximately 8.4 million of those individuals reporting that their condition can prohibit or limit their ability to perform any number of ADLs or IADLs. Economically speaking, 27% of disabled Americans between the ages of 25 and 64 reportedly live in poverty, compared to 9% who are not disabled in any way. For people with a severe disability, median monthly income was $1,458, whereas it was $2,250 for those with a non-severe disability and $2,539 for those with no disability at all. In children, 13% (4.7 million) aged 6 to 14 are disabled, the most common difficulty being the completion of schoolwork. As an individual living with Multiple Chemical Sensitivity, a condition recognized and protected by The Americans with Disabilities Act, I am---as usual---disappointed that environmental illnesses (including MCS and Gulf War Syndrome) have once again been left out of the data. While it is true that individuals with environmentally- or chemically-induced illnesses do indeed experience cognitive, emotional and physical disabilities as effects of their condition, it would be monumentally helpful for studies as relatively exhaustive as the U.S. Census to allow for some extrapolation of data vis-a-vis this constellation of woefully overlooked conditions. And while individuals with MCS and related conditions do not necessarily use wheelchairs, canes, and walkers, we do use oxygen, protective masks and other devices in order to function in the face of our condition. Perhaps, some day, these illnesses will receive their due, and be formally included in such reviews of the disabled and chronically ill.
That said, I am still impressed with the breadth and scope of the census data. The economic disparities reveal what most of us already know: that Americans with disabilities are astronomically more likely to live in poverty than their non-disabled counterparts. It is also extremely helpful and revealing to glean such minute detail about the day to day struggles of the disabled in this country. Regardless of my disappointment about the irksome ignorance of so many about environmental and chemical disabilities (a wrong I am determined to somehow right), this census data is a quantum leap forward and should provide grist for many in the disability rights arena. The disabled are a large portion of the American voting public, and a vocal percentage of the American disabled are socially progressive and politically active. I hope that the data collected, collated, extrapolated and published by the Census Bureau will be used in ways that greatly benefit the subjects of this study, and that the voices of those who work for disability rights are heard loud and clear by the hopeful new administration assuming power in just under a month. The lives of poverty-stricken disabled Americans deserve to be brought out into the open, and the census data make clear that we still have a long way to go. Be that as it may, our government is indeed paying attention to the disabled members of the population, and for that I am excessively grateful. According to PFCD, 45% of Americans live with a chronic illness; poorly controlled asthma sends 5,000 people to the ER every day; and obesity rates of American teenagers has tripled in the last 20 years. Perusing the PFCD website, it's obvious that there is a great deal of optimism being verbalized vis-a-vis the opportunity that Barack Obama and his administration have in terms of addressing chronic illness and health care reform. Improvement in the management of chronic illness is seen as a clearly bipartisan issue by many in the know, and a number of members of Congress are apparently already preparing policies vis-a-vis these issues in advance of Mr. Obama's inauguration and first 100 days of governance. In terms of technological advances, there are many policy-makers and consumers who are calling for a national Electronic Medical Record (EMR) that will streamline information, track prescription drug use and medical visits, as well as allow more continuity of care. This type of system would also allow for easy access to immunization records, would simplify facility-to-facility patient transfers, and facilitate care of patients who have moved or who need health care while traveling. Furthermore, chronic disease care could also be greatly enhanced by such centralized record-keeping, providing crucial financial and medical data about the overall state of American health---and its medical management. While pundits (justifiably) worry that a government-run EMR could raise Orwellian privacy concerns, perhaps some type of third-party oversight could assuage such fears as the project moves ahead. Obviously, something needs to be done to address the state of disarray in which we find health care in America. We are less healthy, more obese, taking more chronic medications, and experiencing greater levels of stress than ever before. Sadly, 40 million of us are still uninsured (a pathetic statistic which I am apt to belabor ad nauseum here on Digital Doorway), and the percentage of us suffering from chronic conditions such as diabetes and heart disease is currently rising. infrastructure will also revive itself with government-funded resources aimed at curbing chronic illness and improving public health. As a newly-minted Public Health Nurse, I am quietly joining that chorus of optimism, and will do my best (from my lowly municipal position) to support those valuable and forward-thinking efforts. Whatever you celebrate, whatever you recognize, however you mark this propitious time of year, I offer my best wishes for your happiness, health and prosperity, and that of your loved ones and friends. My best to you, dear Reader, now and always. The health department where I am currently employed is the recipient of a three-year social justice grant from a large national foundation. Despite a steep learning curve vis-a-vis emergency preparedness, the coordination of our local Medical Reserve Corps, and developing wellness programs for town employees, the social justice mission of our little health department is one of the most intriguing aspects of my new workplace. When one generally thinks of public health, one thinks of communicable and infectious diseases, vaccinations, disease surveillance, and epidemiology. But I am learning that access to health care, food insecurity, and access to adequate housing can all be seen under the umbrella of public health, especially when looking at these issues through a social justice lens. In addition to our social justice grant, our health department also boasts a Cambodian outreach worker who is responsible for outreach to the Cambodian refugee community in our area, a sizeable cohort which has varying levels of need vis-a-vis health care access and other social issues. For American-born citizens, refugees and immigrants alike, free and equal access to adequate health care is indeed a privilege in this country, but it is a privilege that many of us prefer to view as a basic human right. Along with housing, employment and education, my progressive heart wants to see every American have free and unfettered access to as much education as his or her heart desires; comfortable and affordable housing; gainful employment; sufficient quality and quantity of food; and high-quality and accessible health care. Call me a bleeding heart, but my personal vision of social justice includes what I see as essential components of "life, liberty, and the pursuit of happiness." In terms of my work as a Public Health Nurse, I want to remind myself that the "public" aspect of my job entails my responsibility to the public, the people who live within the geographic area of my jurisdiction. The Human Rights Commission in our town is very active, and I see part of my duty as the PHN to reach out to this group (and others) who spend their time assuaging the suffering of our homeless, hungry, and uninsured. Aside from the nuts and bolts (and syringes) of my work, I want to delve into the area of social justice wholeheartedly. There is nothing more worth fighting for in my book, so why not start right here at home? In this historic period of a global economic downturn, my thoughts have been turning towards those whose personal economies have already arrived to a place of significant decline. Here in the United States, the use of soup kitchens, food pantries, and other emergency assistance has skyrocketed, and applications to Medicaid continue to climb. An astronomical number of individuals are truly wondering how they will put food on the table, gas in their tanks, or heat in their homes, and those individuals are often living in households with members who are children, elderly, or disabled. Government figures show that unemployment applications are increasing exponentially, and although Congress has passed legislation to extend unemployment benefits, we all know that the end of such assistance does not always coincide with the procurement of new employment opportunities. As the economic slowdown continues, jobs are being slashed daily in a variety of sectors, the consequence being even more people fiercely competing for a dwindling supply of jobs, many of which offer less-than-stellar compensation frequently without health benefits. With Christmas and Hannukah upon us, bargain hunters scour the shelves for affordable gifts for friends and family, and the ingredients for holiday meals and celebrations are sought through every frugal means necessary. Granted, we all need to celebrate, but this year has brought a level of economic uncertainty not seen in many decades, ostensibly throwing a wet blanket over many families' ability to partake of the holiday season as they might in a more robust financial climate. But what of those who were already struggling? What about those who have been visiting soup kitchens and food pantries all along? As more and more jobs are slashed and as individuals use up their unemployment benefits, how will we as a society care for those who cannot make ends meet? And as the facilities who support those struggling families see their own operation costs rise amidst an increase in utilization, how will the needy be cared for? These are uncertain times, and as I have pointed out on Digital Doorway before, food insecurity is real, and the number of families unable to provide for their children has been increasing like never before. I offer no solutions here, and I have no grand plan or scheme to short-circuit this calculus of need and insecurity. I only know that I awoke at 4am this morning thinking about the millions of people---in this country alone---who cannot honestly say how they will feed their families this week, let alone provide the makings of a holiday celebration. With the New Year around the corner, there is always desire for a fresh start and an infusion of hope. On January 20th, an historic event of enormous proportions will take place in Washington, D.C., and all eyes will be on the new President and his administration's ability to turn the economy around as soon as possible. And while I understand the need for inaugural celebrations---especially due to the historic nature of this president's unprecedented accomplishment---I cringe when I think of the millions of dollars that will be spent on dinners, formal balls, and lavish parties as millions of Americans wander the streets in search of low-paying jobs and food pantry handouts. Yes, we all need to celebrate, but that astronomically expensive celebration does indeed give me pause as I ponder the plight of those without the means to even feed their families. My wife and I are both very blessed to have recently found satisfying and relatively well-paying work right in our own town. No longer commuting forty miles per day, we are among the lucky few who have new jobs, short commutes, and robust benefit packages. We realize how very fortunate we are to be in our current position at a time when so many others have experienced the opposite economic reality. We do not take our situation for granted and fully recognize our blessings. Perhaps my recent luck in finding gainful employment is what has me awake at 4am, thinking about those who have not been so lucky. Admittedly, we will have no problem putting food on the table this holiday season, and while we are indeed being frugal in terms of gifts for family and friends, we are fully cognizant of the fact that buying those gifts is not a significant burden, even as we write checks to our favorite local, national and international charities. Having the economic means to care for ourselves and give to others is not something we take lightly, and we recognize that it is our ethical responsibility to donate to worthy causes at a time when our donations mean so much. I am saddened by the current plight of millions of deserving individuals and families, and even as I watch the holiday season unfold, my thoughts turn to those who may feel less than celebratory. These are times requiring a great deal of thoughtful reflection, selflessness and compassion, and I hope that the suffering of so many amidst this global crisis will soon be alleviated. In whatever way I can, I choose to be a part of the solution, and I invite you, dear Reader, to do the same. One of my new professional challenges is learning everything I can about emergency preparedness. I am now, in effect, responsible for emergency preparedness planning for my entire town, thus I am confronting the steep learning curve that that responsibility engenders. For individuals and families, being prepared for emergencies entails family disaster plans, food, water, communication devices such as hand-cranked or battery-operated radios, first aid, flashlights and other equipment, sanitation and hygiene concerns, pets, important family papers, bedding, medications, clothing, as well as the needs of children, the elderly, and the disabled. For a comprehensive list of what a household Basic Emergency Kit should contain, click here. For neighborhoods, emergency preparedness means identifying vulnerable neighbors, making plans for their care in the event of an emergency, and appointing individuals or groups of individuals to share responsibility for those identified members of the community. On the municipal level, preparations for disasters, severe weather, terrorism, power outages and public health emergencies obviously encompass the individuals, families and neighborhoods which make up a municipality. However, municipal emergency preparedness also takes into account the need to provide emergency shelter, mass dispensation of medications of vaccinations in the case of epidemics or pandemics, as well as support for potentially overwhelmed first responders. While the current wave of emergency preparedness was indeed galvanized by the terrorist attacks of 2001, the United States and other countries have seen how varying levels of preparedness on the local, state, and federal level can fail or succeed in the face of natural disasters. Despite the efforts of many, it is painfully clear that the federal response to Hurricane Katrina caused enormous (and altogether preventable) suffering on the part of residents of the American Gulf Coast. The Bush Administration and FEMA failed miserably in their collective response to Katrina, and many people died unnecessarily as a result of systemic problems and governmental hubris. Although some may still fear terrorist attacks in the form of biological weapons and bombings on American soil, I feel that it is far more likely that our level of preparedness for the unexpected will be tested in the form of natural disasters (hurricanes, tornadoes, floods and earthquakes) and outbreaks of disease (such as pandemic influenza). The recent ice storms in Massachusetts and wild fires in California are two examples of how coordinated efforts on the part of local, state and federal entities are crucial to disaster response, rescue and recovery. Now, my personal task is to take the helm of my local branch of the Medical Reserve Corps, connect with local, regional and state emergency preparedness officials, and put together a comprehensive preparedness plan for our town of approximately 40,000 residents. Steep learning curve is right, and I will certainly be blogging about my progress as I move forward with this and my other new public health duties, so please stay tuned. When 80 percent of a woman's face is replaced with the skin, nerves, and deep facial muscles of a cadaver donor, a host of ethical questions are raised in the aftermath of such a ground-breaking medical event. In Cleveland, Ohio, Dr. Maria Siemionow and a enormous team of specialists have successfully completed just such a surgery, far surpassing the partial face transplants previously performed in France and China. Performed not to extend life but to enhance quality of life, these types of surgeries carry a very high risk of rejection, a dangerous outcome that many ethicists feel may not warrant such extreme measures. On the other side of the ethical debate, it is argued that those with major birth defects or other forms of disfigurement deserve a chance to live a normal life with near-normal facial physiognomy and expressive ability, despite the need for life-long immune suppressing medications and the risk of catastrophic rejection. Meanwhile, some ethicists opine that facial transplant recipients should have the option of assisted suicide in the case of total rejection and transplant failure, an outcome that could lead to complete inability to breathe, eat or otherwise function normally. The removal of a rejected facial graft would leave a post-surgical patient with extreme disfigurement, risk of dangerous secondary infection, and potentially worse quality of life than prior to undergoing the surgery. Advances in medicine and science often lead to ethical concerns that must be rigorously discussed and debated by interdisciplinary teams of surgeons, ethicists, nurses, laypersons, clergy, and other concerned individuals and groups. Decades ago, heart transplants and liver transplants sent shockwaves throughout the world as the ramifications of such advances became clear. Life support technologies, blood transfusions and advanced pharmacology have all become part and parcel of the medical world, sustaining and prolonging life while often simultaneously increasing quality of life as well. Now, hand and face transplants once again push the envelope of what some feel is ethically and morally responsible as humans continue to dabble in the more esoteric reaches of medicine and surgery. And as much as brain or total head transplants may still seem like science fiction, I have no doubt that such emotionally charged and ethically challenging surgical events are most likely closer than we think to being reality. As the 21st century continues to unfold, bioethics and the future of medical intervention are certain to challenge us as the edges of our comfort are once again breached. I am interested to see how the newest facial transplant recipient recovers from her surgery. I am equally interested in observing how the world continues to react and recover from the shock of yet another momentous milestone and its ethical aftermath. A live webcast on Monday, December 15th at 2pm EST, will feature a panel of experts discussing how to keep public health programs afloat during the economic downturn. Entitled "Public Health Survival: Leadership in a Falling Market," the webcast will be hosted by the Gillings School of Global Public Health at UNC, and will include a number of expert panelists. To access live web coverage, please click here for a link to the webcast homepage, where you will also find a downloadable pdf file of the webcast slides, links to articles, and organizations of interest. 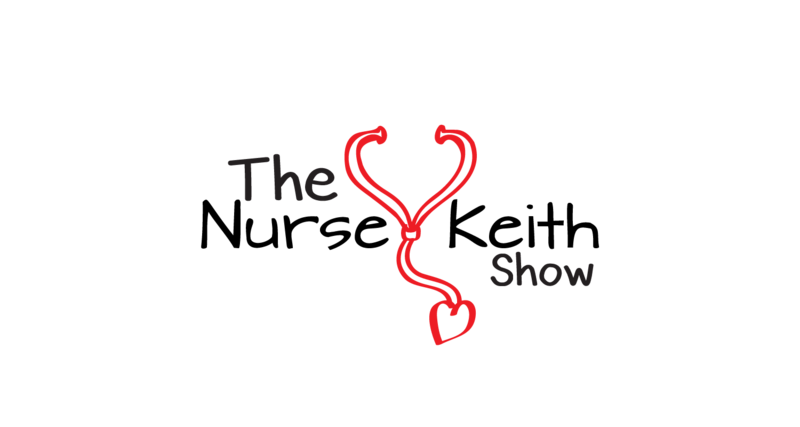 The newest edition of Change of Shift, our favorite nurse blog carnival, is ready for reading at Marijke: Nurse Turned Writer. Well folks, on the eve of Thanksgiving here in New England, I was (figuratively speaking) hit by a truck that most likely was a case of influenza. Vaccinated against the flu more than a month prior, I was hoping---like so many other people around the world---that I would be spared serious illness this winter season, but those hopes were apparently in vain. That early assault sent me once to the emergency room with the worst chest pain of my life (on the very night that all of the symptoms began), and three times to the nurse practitioner to beg for a bronchodilator and codeine cough syrup. Eighteen days later, I'm struggling with asthmatic bronchitis and am now using inhaled steroids to keep the coughing at bay. As the sun goes down, my lungs seem to naturally fill with congestion, and my level of fatigue is enormous. While I indeed miss exercising and working out, the mere thought of doing twenty laps at the local pool makes me swoon with delirium. According to the Centers for Disease Control and Prevention website, there have been only 507 positive influenza tests in all of the United States so far this season. This means that only 1.6% of the more than 30,000 specimens submitted for testing so far have actually been positive for influenza. Concurrently, Google's Flu Trends website states quite firmly that, at least in the U.S., influenza activity is quite low, essentially agreeing with the CDC's current data. No matter the numbers, and no matter how little flu activity is truly being seen out there in the world, those of us who are sure we've already been stricken feel that our Personal Statistic of Significant Suffering (PSSS) is certainly worthy of notice. For myself, I have suffered enough for several winters' worth of illness, and this lingering bronchitis must, on some level, earn me a flu season medal of honor. For other flu sufferers out there---if you're reading this---one of your own feels your pain, and my wishes to you for a speedy recovery and a subsequently healthy and prosperous winter. And for those of you who have as yet escaped illness, may you continue to be well, and enjoy the holidays and New Year in well-deserved good health. Stay tuned for more updates on nationwide flu activity as this new Public Health Nurse recovers from his own personal bout of wintry illness and doldrums. The Obama-Biden Transition Team is requesting that all interested citizens pay a visit to the transition's website, Change.gov, and voice ideas and concerns regarding American health care and health care reform. By clicking here, you can go directly to the web page dedicated to the health care agenda and submit your opinions and views. "On health care reform, the American people are too often offered two extremes -- government-run health care with higher taxes or letting the insurance companies operate without rules. Barack Obama and Joe Biden believe both of these extremes are wrong, and that’s why they’ve proposed a plan that strengthens employer coverage, makes insurance companies accountable and ensures patient choice of doctor and care without government interference. "The Obama-Biden plan provides affordable, accessible health care for all Americans, builds on the existing health care system, and uses existing providers, doctors, and plans. Under the Obama-Biden plan, patients will be able to make health care decisions with their doctors, instead of being blocked by insurance company bureaucrats. "Under the plan, if you like your current health insurance, nothing changes, except your costs will go down by as much as $2,500 per year. 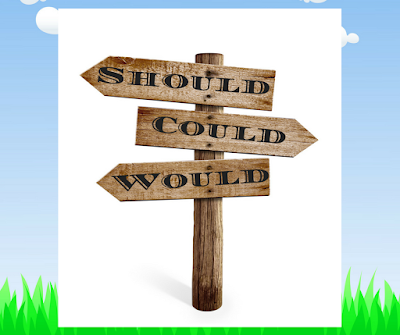 If you don’t have health insurance, you will have a choice of new, affordable health insurance options." Lower drug costs by allowing the importation of safe medicines from other developed countries, increasing the use of generic drugs in public programs, and taking on drug companies that block cheaper generic medicines from the market. Require hospitals to collect and report health care cost and quality data. Reduce the costs of catastrophic illnesses for employers and their employees. Reform the insurance market to increase competition by taking on anticompetitive activity that drives up prices without improving quality of care. I am personally dubious that insurance company practices can be sufficiently reformed to prevent abuses. I am also dubious that such a ponderous system administered by both the federal government and employers will not prove incredibly complex and difficult to manage for employers, government officials, insurers, providers, and consumers alike. Despite my reservations, doubts, and dubiousness, it is indeed exciting to see a new administration apparently dedicated to transparency, as well as the active participation of all Americans in the process of change that is underway. Meanwhile, I am willing to suspend my disbelief, listen to the conversation, join in on the conversation when I have something useful to say, and watch as the story unfolds. These are exciting and nerve-wracking times, and I do indeed hope that the change that has been promised will indeed be delivered. Until that time, patience is one virtue we will all need to put into practice. A recent study by Medco Health Solutions reveals that the current economic downturn and increasing healthcare costs are having a severe effect on young adults. With an increasing number of young adults in their 20s and 30s living with chronic health conditions, health insurance and prescription drug coverage are no longer just issues for middle-aged and older adults. The survey further revealed that young adults are considerably less savvy when it comes to finding ways to save money on healthcare. Other recent reports show that the prevalance of mental illness among young adults is significantly high, but only a small percentage ever actually seek treatment. With potentially 50% of young college-age adults meeting criteria for substance abuse disorders, personality disorders or other conditions, it is disconcerting that less than 25% are under active medical care. If the lack of health insurance, the prohibitive costs of prescription medications, or exponentially increasing college tuition is keeping young adults from seeking medical or psychiatric treatment at a very vulnerable time of development and maturation, important outreach and motivational education needs to be set in motion in order to counterbalance such a trend. Whereas older adults might make healthcare expenses more of a personal economic priority in times of fiscal stress, perhaps young adults are less likely to eschew social outings, travel, and other activities in order to save money to cover their healthcare costs. This trend is worrisome since untended health maintenance issues early in adulthood can often come back to haunt the unsuspecting person in middle age. I am not at all suggesting that young adults are categorically frivolous or laissez-faire about their health, but studies do clearly suggest that they are less likely to understand how to manipulate the economic system to their personal advantage vis-a-vis healthcare expenses. Additionally, having once been a young adult myself, health is generally not as great a priority when one is twenty-something as when one crosses the threshold into middle-age and the first half of one's life comes to a resounding close. Universal healthcare and free higher education would most likely go a long way towards easing the economic strain on today's young adults, but I would be interested to see a study comparing the healthcare-seeking habits of European young adults (who already have free medical care and higher education) and their American counterparts. It would be revealing to ascertain if it is indeed the cost of healthcare that prevents young adults from seeking care, or if it is more of a developmental issue which is part and parcel of the maturation process. While considering the underlying causes of the phenomena revealed by the studies mentioned above, it is important to consider what social and economic interventions might increase access to medical care for this important population, as well as what forms of education and outreach might prove to be positively motivational to that desired end. Increased access to affordable healthcare is certainly a very good first step, and while students attending college are required by law to have health insurance, young adults who choose to not go to college---or who simply cannot afford it---are left with few economically viable options once they can no longer be covered under their parents' policies. Young adults are our future, and it is in our best collective interest to make sure that they receive the necessary preventive healthcare that can detect chronic disease---or even the potential for such disease---long before any lasting damage is done. Healthcare should be affordable, accessible, and understandable for our young adults, and in these hard economic times, too many young people may see healthcare as a luxury that they simply cannot afford. I hope that the new administration in Washington will decrease the costs of both healthcare and higher education, ease the burden on American young adults, and simultaneously educate this population about the crucial importance of detecting chronic illness before it starts to take its toll. As the father of a young man in his twenties, I have a vested interest in his stellar generation reaching their productive middle-age with good health, economic security, and the means to live a long, happy, healthy and satisfying life. The appalling care of the mentally disabled in Texas is a story worth disseminating. Whereas the system of state institutions that warehoused and abused the disabled (as late as the 1970s and 1980s) has mostly been dismantled and shuttered around the country, it seems that such treatment is still alive and well in the Lone Star state. Now, the United States Justice Department has weighed in for the third time in three years to clearly state that the Texan system of care for the institutionalized mentally disabled is decades behind the rest of the country and consistently violates consumers' constitutional rights. Unearthed documents detail beatings, sexual assaults, neglect, and possible allegations of homicide. And according to the Associated Press, more than 800 employees have been fired since 2000 due to reports of abuse, exploitation and neglect. Called "the institution capital of America", Texas has been accused of warehousing consumers at a rate six times above the national average. The 62-page downloadable report by the Justice Department details the observed abuses, poor admissions process, lack of knowledge of community services, poor rehabilitation services, and a high rate of injury among residents. Further supporting the evidence that the Texan "state schools" are decades behind the times, the use of straight jackets and other restraints are a common part of residents' behavior management plans, a practice that has been out of fashion (and deemed unconstitutional) for decades. With its astronomically high rate of (racially skewed) incarceration of the general population and a widely criticized history of aggressive (and racially skewed) capital punishment, Texas obviously needs to do some soul-searching. The Texan system of "state schools" must be immediately dismantled, and a modern and constitutional system of community-based services for the mentally disabled must be put into place as soon as possible. The state government may want to consider creating a trust fund to benefit those who have already been abused and damaged by such egregious and nefarious treatment, and it would not surprise me if a massive class action lawsuit---and criminal proceedings---begin to rise to the surface as the dust settles on this sad moment in American and Texan history. With every crisis comes opportunity, and Texas now faces a moment wherein it can turn the tables, turn history on its head, and create the most progressive and forward-looking system of care for the mentally disabled in the country. Such a feat will take political will of untold proportions, and it remains to be seen if Governor Perry will step up to the plate. If he has read the report sent to him by the Department of Justice, I hope he did so with tears in his eyes and pain in his heart. The human beings who have been unjustly abused in the Texas state schools are brothers, sisters, sons, daughters, grandparents, mothers and fathers. How we care for our most vulnerable citizens is a true test of our humanity, and on that scorecard, Texas has certainly failed miserably. Today is World AIDS Day, and the official website has a great deal to offer in terms of information, opportunities for activism, events, and other ways to get involved. With 33 million people living with HIV worldwide, World AIDS Day is now in its 21st year and was actually the first international health day commemorating a particular disease. While World AIDS Day in the UK has chosen the theme of "Respect and Protect" for this year, the theme chosen by the global movement appears to be "Leadership", based on their website. Regardless of thematics, everyone involved seems to agree that there are certain aspects of the fight that necessitate further concerted action on a global scale as governments around the world pledged today to increase funding for treatment, to fight discrimination, and to increase testing. And in China, where up to 700,000 individuals are said to be infected but only 260,000 are officially recognized as having the disease, the fight against stigma is an uphill battle only newly begun. The global effort is still in full swing, and it seems to receive a needed boost every year on December 1st. Thank you to all of the individuals and organizations that keep that torch burning year-round. So, dear Readers, as of 12:01 am today, my wife and I are officially uninsured. Caught in that painfully ubiquitous American conundrum, we are both gainfully employed, both starting new jobs (that, admittedly, don't pay exceedingly well), and our new insurance will not kick in until January 1st. With several chronic illnesses between us and a number of medications we take on a regular basis, this could be cause for concern. Counting our blessings, we indeed realize that, unlike the majority of the other 38 million uninsured Americans waking up this morning, our uninsured status is, in fact, temporary. A month from now, as we ring in the New Year, we will also ring in the renewed security that paying monthly health insurance premiums can bring. Our privilege is not lost on us, but having just been to the emergency room on Thanksgiving Day, I am given pause to remember that life and illness do indeed sometimes happen on their own schedule. But like I've said before, middle class privilege is something we do not take for granted, and our very survival is in no way threatened by this unfortunate but temporary turn of events. Meanwhile, my incredulous friends in Canada and Europe wonder how such a "powerful" country can leave so many of its citizens in the lurch, many actually going bankrupt when they cannot pay their medical bills. My response is that the United States' free market system coupled with an ingrained Puritan work ethic and "pick-yourself-up-by-your-boot-straps" cowboy mystique leads many mainstream Americans to think of themselves rather than of others, assuming that those who "have not" probably don't deserve it anyway. Ronald Reagan's evisceration of Public Assistance---further decimated by Bill Clinton in the 90's---painted "Welfare Moms" as deadbeats who purportedly birthed children just to get on the dole. We were all expected to make it on our own, and those who didn't were expected to eat our crumbs. If I sound cynical, it's because there has been a great deal to be cynical about in the last decade of American life. With the economy in shambles, healthcare on the rocks, two never-ending wars, and poverty and hunger on the rise, some healthy cynicism is indeed in order. So, as the Obama administration revs its engines, I wait patiently along with my fellow citizens, hoping for some change, but admittedly less starry-eyed than many of my brethren. I honestly expect little to change in the next year in terms of the machinations of American healthcare economics, although I do hold out hope that the ranks of the uninsured will somehow be decreased as rapidly as possible. Changing such an entrenched system will not be easy, and some say it is truly impossible with so many economic and political toes to be stepped on. Well, the poor, uninsured and hungry in this country have been repeatedly stepped on throughout the decades, so if the insurance industry cries "foul" as it suffocates, let's simply call it just desserts. This next month of "insurancelessness" does certainly give me a lot of food for thought. I am grateful that this chapter will be short-lived, but I am all too well aware that, for many others, it is a chapter that seems to never end.